Steps to the startup and calibration of the interactive Smart Board. 1. 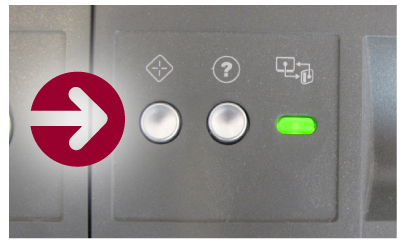 First, select the top green button labelled «System On» to activate the equipment management system. 2. 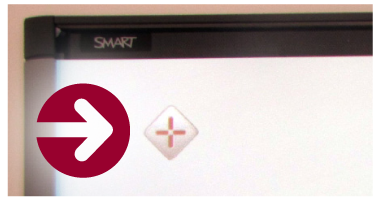 Second, press the first icon on the top and to the right that illustrates a computer in order to use the interactive Smart screen. 4. Fourth, you must calibrate the interactive screen. For this operation, you must press the calibration button represented by a diamond which is the first button located on the control panel of the interactive screen. 5. To start the calibration, use your finger or the tethered pen to select the diamond icon in the upper left corner of the Smart Board screen. Gently press the center of the diamond. If you find that the accuracy of an item is incorrect, restart the calibration from the beginning (see step 4). 6. You are now ready to use the interactive screen. You will also find on the left of your screen a tool bar which offers you different operating options (erase, mouse, etc).